Christmas is a party we have to celebrate with our family. 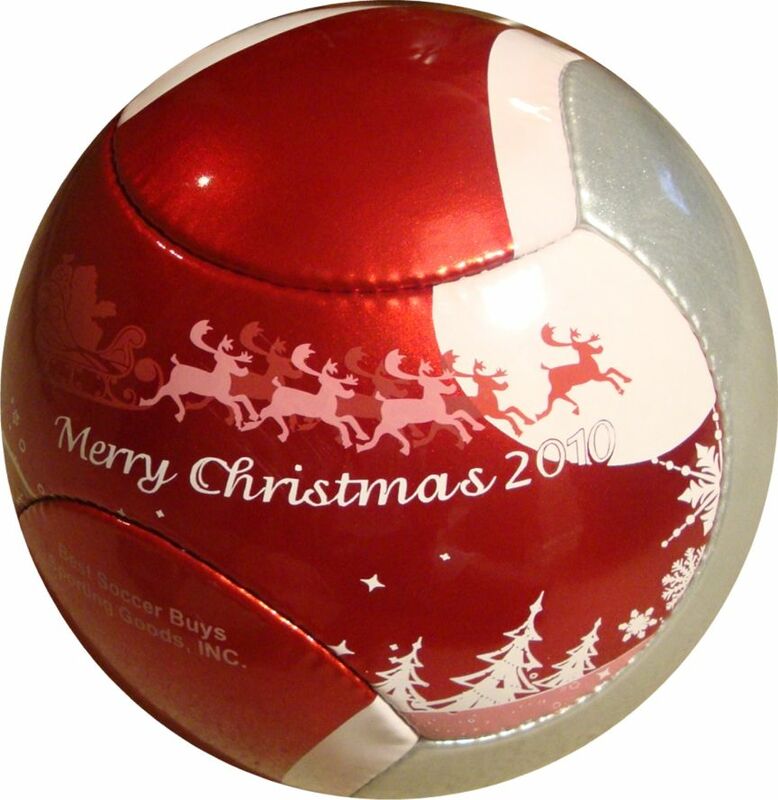 As the SHANGHAI LIONS Football club is a bit our second family, let’s celebrate Christmas all together. Feel free to bring your family and friends to share a good moment together. 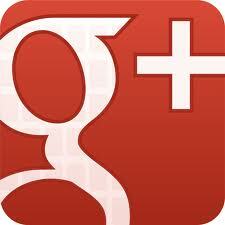 and tell us how many people will joint you for this event. Find the arrangement for our Lions Christmas part. Thirty-two soccer teams facing off in an emotionally charged, passionate and exciting seven-week-long derby. Is this the World Cup? 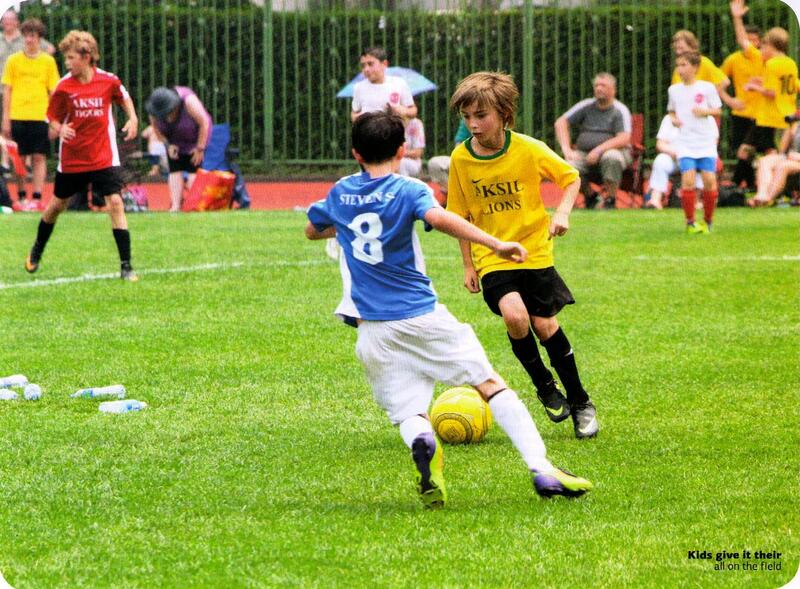 No, this is the Shanghai International Youth Soccer League (SIYSL). While now a flourishing sports league (with kids and soccer moms packing the field every week), it had a very humble beginning back in the fall of 2006. 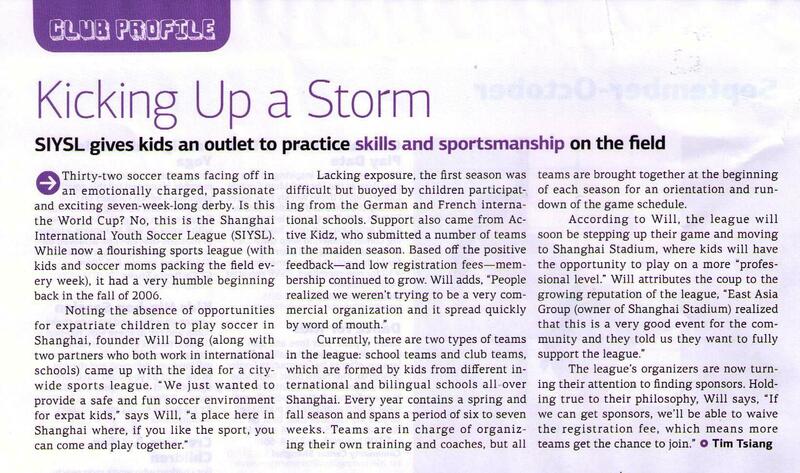 Currently, there are two types of teams in the league: school teams and club teams, which are formed by kids from different international and bilingual schools all over Shanghai. Every year contains a spring and fall season and spans a period of six to seven weeks. Teams are in charge of organizing their own training and coaches, but all teams are brought together at the beginning of each season for an orientation and rundown of the game schedule.